Night is comprised of Bobby Yagodich on guitar, Matt Jackson on bass, Zach Nace on guitar, and Mark Bixler on drums. 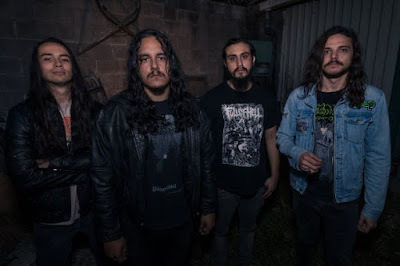 They are currently in the process of pressing and releasing their second full length effort entitled “Satellites”, which is the strongest representation of their sound thus far in their early career. In the new year, they plan to tour and support this record extensively. All of the members of Night are originally from various heavy metal acts in the South Central area of Pennsylvania. In 2006, Bobby started a solo noise project under the moniker of Night as an outlet to do something other than the fast paced, and in your face genre of music. Three years later, the band that Bobby and Jackson had been a part of split. The two of them went on to create music using the name of the project Bobby had started years earlier. Another year passed, and the project that Zach and Mark had been a part of disbanded. They also had a thirst to create music that was not necessarily heavy. Zach joined in 2010, and Mark later joined in 2012 completely changing this from a small project, into a fully cohesive band. Night have played throughout the South Central region of Pennsylvania, and in the past year have trekked out further and further. They have been hard at work trying to get their name out anywhere that there are people who want to listen. In 2015, they hope to extend their reach even further than ever before. 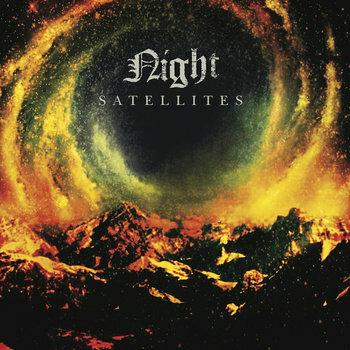 Moving people with their music, and creating a unique experience for every listener is the objective that Night want to achieve with “Satellites”. 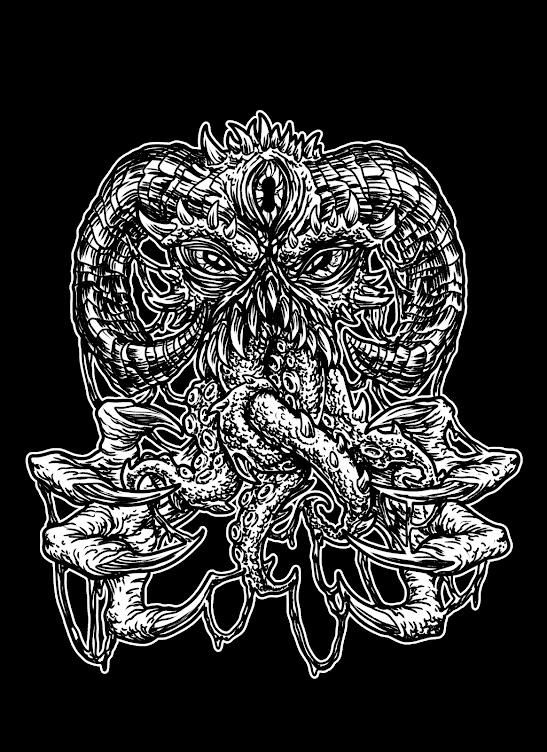 Post- Rock/Post-Metal collective Night impressed me way back in 2012. Now almost 3 years later they finally return with their new album - Satellites. Satellites may seem familiar to a lot of other Post-Rock/Post-Metal albums currently out there. Though, take a closer look as Night offer a more cosmic/ambient route within the Post-Rock/Post-Metal field as they have elements of Space-Rock to stand out from the crowd. Fans of Pelican, Russian Circles and Red Sparowes will be in their element here as Night flexes their creative muscles with some heavy post-metal riffage especially on the first couple of tracks - Discovery and Aurora. Night combine heavy psychedelic sludgy post-metal riffs with a sense of adventure journeying into the stars. Satellites is firmly rooted in Space, Above and Beyond as Night take their brand of Atmospheric Sludge/Post-Metal to the next level. I've been a fan of Night for the last few years and it's great to see a band progress as musicians to show the world what they can do. The album's main message is one of hope within the human spirit but Night do offer bleak moments of sadness and regret especially on excellent 3rd track - Aurora. Night combine ambient noises and sounds with the right amount of slow & fast paced vibes that Pelican or Russian Circles would be proud to call their own. The album does venture into doom and gloom territory to provide the listener with an emotionally charged experience you will find very hard to escape from. One of the albums standout tracks - Astral Burial - sees Night play a more progressive/thrash metal style of music where the atmosphere becomes ever more volatile as Night become more schizophrenic with their musical choices. You can't help admire the brave musical decisions that Night unleash here, as the album ventures into different genres that shouldn't really work but Night pull this off with style and conviction. By the time the excellent title track – Satellites - is played, you're already apart of this heavy cosmic journey as the progressive post-metal riffs impress with the slow-vs-fast musical combination that will leave you breathless. It's good that the band offer quiet ambient based songs to catch your breath with but be warned as the short songs offer heavy ambient sounds with a dark and terrifying edge. Atlas is the perfect example of this as Night will take you on a nightmarish journey where sound becomes your mortal enemy and your only means of communication. Things take a more sensible approach for the next song - Projection - as Night play a more upbeat Post-Rock song with the heavy music giving way to a sense of calm e. Even when Night unleashes the heavier Post-Metal riffs, there's still a sense of hope amongst the violent energy that Night create here. The rest of the album sees Night finish their cosmic voyage into the far reaches of space as the music beautifully drifts into loud and blissful sonic highs as ambient noises add more refined experience as Satellites proves that Night have created a truly anthemic and cinematic experience you cannot beat. Thanks to Matt Jackson for the promo. Satellites will be available to buy on CD/DD via Hand/Eye Records from April 14th 2015.